ROBUST BUILD - Made with industrial strength glass and complimented by stainless steel accents, this kettle is built to withstand any minor drops while preserving natural flavors and preventing taste contaminations. CONVENIENCE - Cordless Technology allows for hassle-free pouring. Also built with 360° Rotational Glass Body! Perfect for precise measurements. 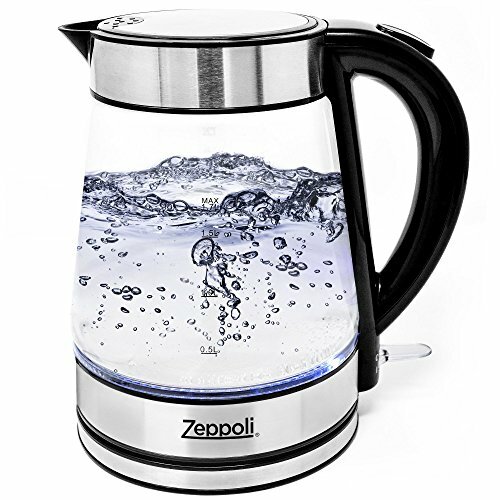 If you have any questions about this product by Zeppoli, contact us by completing and submitting the form below. If you are looking for a specif part number, please include it with your message.